Vietnam is an Asian paradise for delicious food that is astoundingly cheap. Also, as compared to food in the neighbouring countries, Vietnamese food is a lot healthier (think soups, salads, wraps, etc). I actually lost two kilograms after staying in Vietnam for half a month. And this is despite the fact that I constantly stuffed my face with food when I was there. I can’t wait to go back to Ho Chi Minh City (simply to eat). If you are planning a trip there yourself, here are the 10 dishes that you need to try, and don’t worry, I am not going to include pho. That dish is way too overrated. 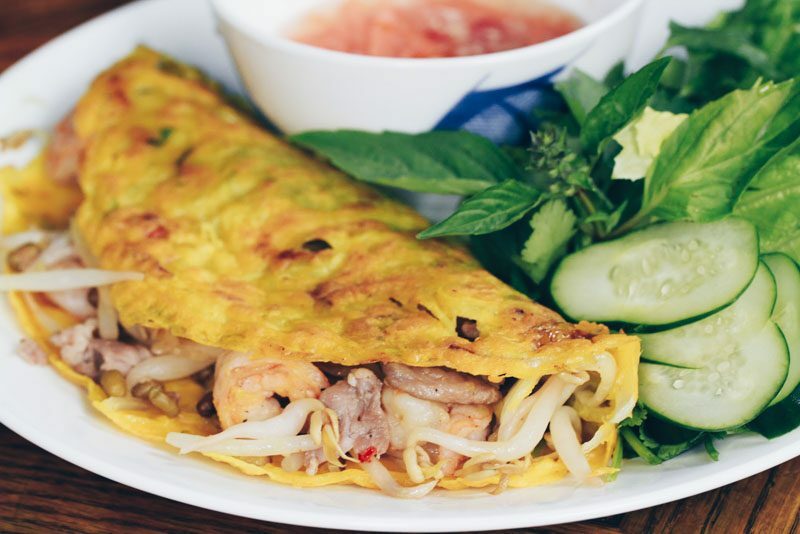 Banh Xeo is a savoury omelette pancake that literally translates to ‘sizzling cake’since it makes that sound when it cooks on the griddle. The pancake is stuffed with plenty of shrimp, onions, bits of pork, and a generous heap of bean sprouts. 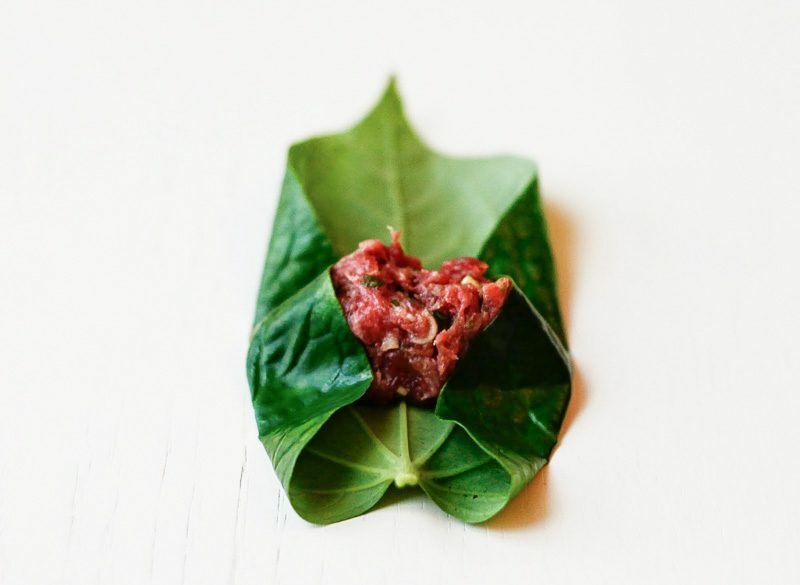 You can eat it by dipping it in fish sauce and wrapping it with a leafy vegetable such as lettuce or shiso before consuming. It may not look big, but it’s filling enough to be a complete meal. The best place to get good banh xeo is probably 46A Banh Xeo. It is recommended by numerous guide books, blogs, and even Anthony Bourdain. You may have seen this incredibly photogenic spring roll online before. Goi cuon is a fresh but crispy spring roll that includes prawn, bits of pork, fresh leafy vegetables, and rice noodles. The inside is soft but firm, and the rice paper that holds everything together is crispy and delicate. It gets even better if you eat the spring roll with the savoury-sweet dipping peanut sauce. It’s easy to find goi cuon anywhere in the markets of Ho Chi Minh City, as this popular street snack is ubiquitous. If you’re swinging by 46A Banh Xeo (see #10), you can order goi cuon there as well. 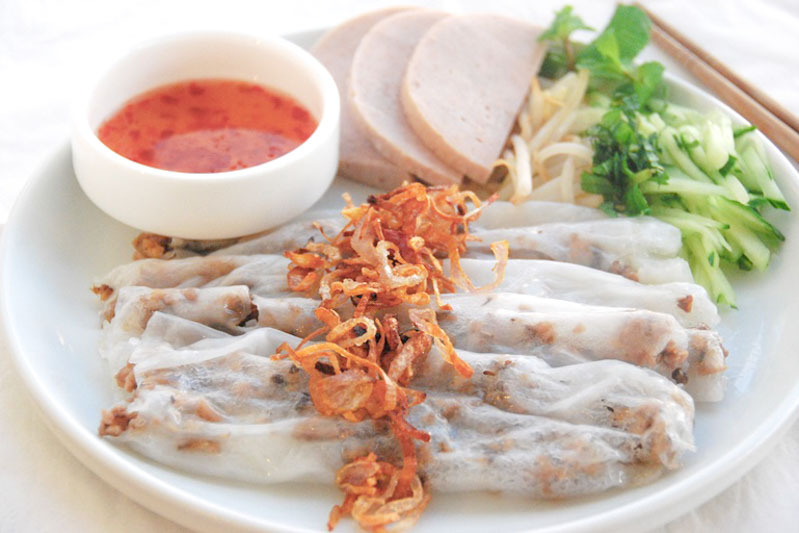 Banh cuon is a dish that can easily be a hit or miss depending on your taste preference. Its skin is made from fermented rice batter (that is used to make rice noodles). The skin is cold, flimsy, and almost gooey when you chew on it. However, the fillings of seasoned pork and chopped mushrooms, along with the crispy shallots that are used as a garnish, enabling the textures of the dish to be evenly balanced. It also goes well with Vietnamese sweet fish sauce and fresh vegetables. Banh cuon is a pretty unique dish, and if you want to try one of the best banh cuons in Ho Chi Minh City, head down to Banh Cuo Hai Nam, which is highly recommended by both locals and tourists. Banh khot is very similar to banh xeo (see #10) as it is also a savoury pancake. The difference is that banh khot is a lot smaller, doesn’t have bean sprouts, and is a lot crispier and tastier somehow. This is a dangerously addictive snack that you will keep popping into your mouth. I love how hot, crunchy, and moist these tiny pancakes are. If you start feeling jelak, just munch on a few fresh and crunchy greens (that are customarily served with banh khot), to refresh your palate. 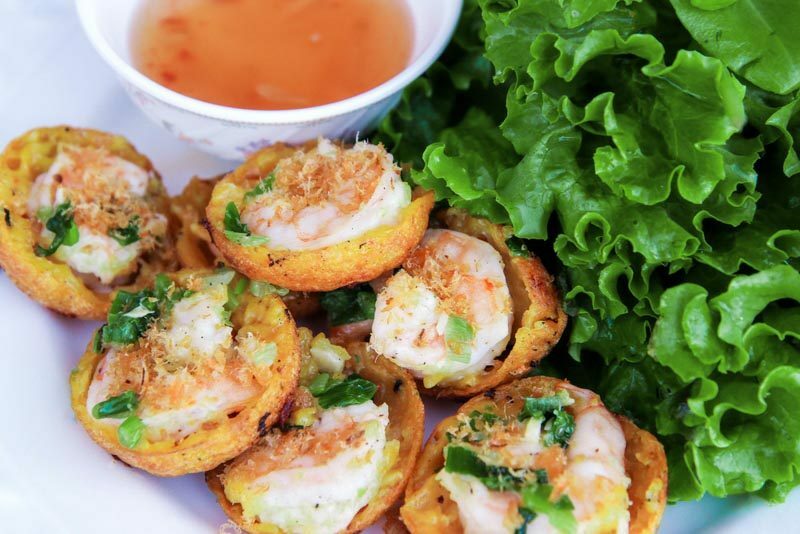 For crunchy and delicious banh khot that melts in your mouth, visit Banh Khot Co Ba Vung Tau. 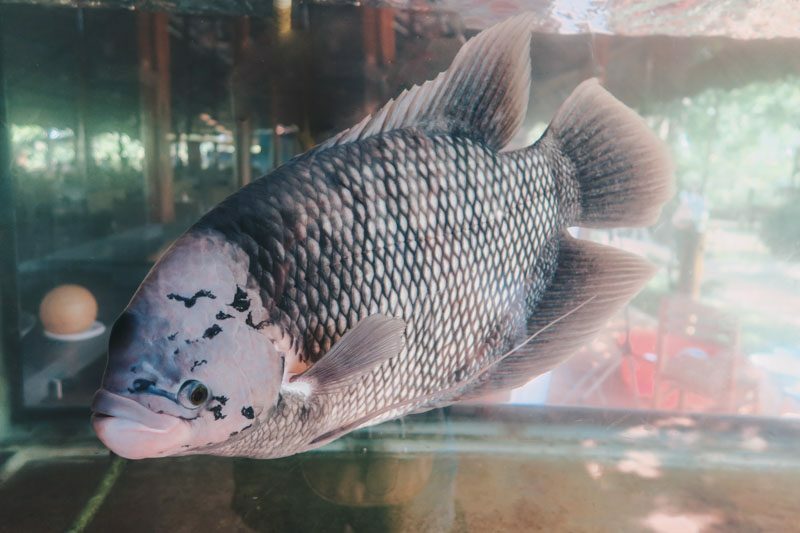 The Elephant Ear Gourami (also known as Elephant Ear Fish) is a speciality you can find in the Mekong Delta, just a little south of Ho Chi Minh City, about an hour or two away. The fish itself was extremely crispy and hot. The flesh was flaky and tasted really good with the fish sauce. Rice paper is also provided so you can make your own crispy fish roll. I enjoyed the novelty of this experience as much as the taste of the dish. 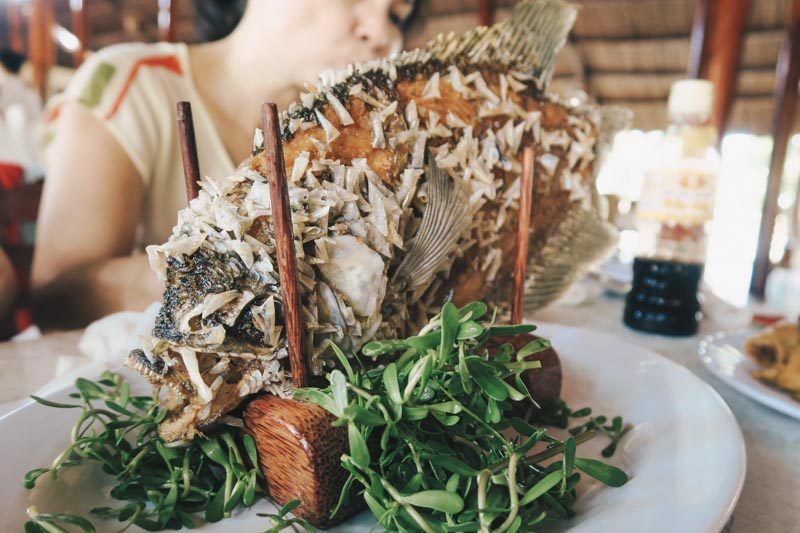 To try elephant ear fish, you can head to one of the tourist restaurants at the Mekong Delta, such as Hai Ho Family, but it would be easier for you to book a day tour from Ho Chi Minh City. Try booking this tour from TripAdvisor for convenience’s sake. Transport, boat rides, and meals are all covered. Bun thit nuong cha gio is one of my favourite meals to have when in Ho Chi Minh City. Each bowl is filled with light and springy rice noodles before being decked with savoury grilled pork, crispy and meaty spring rolls, fresh vegetables, herbs, and ground peanuts. Mix everything together before dousing the noodles in fish sauce for the ultimate contrast of flavours and textures in one bowl. This dish is so popular that you might have seen it being sold in Vietnamese eateries in Singapore too. 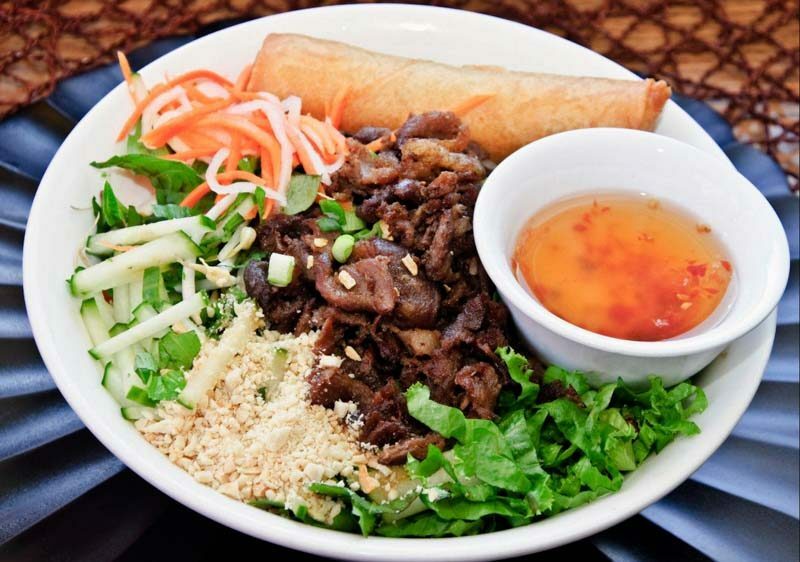 If you want to try an authentic and delicious bowl of these noodles, go to Bun Thit Nuong Chi Tuyen, a shop known for selling amazing bun thit nuong cha gio. Bun bo hue is a beef noodle soup dish that will seriously give pho a run for its money. Spicier, more flavourful, and meatier, bun bo hue is almost like an upgraded version of pho. This was my first dish in Ho Chi Minh City, and I remember distinctly how one sip of the soup warmed me up and brought a huge smile to my face. This dish is delicious, and you’d be remiss if you did not give it a try. 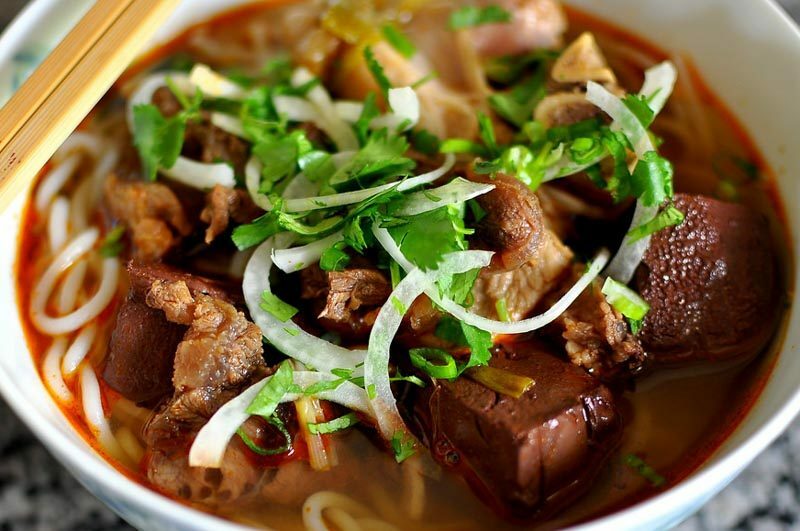 For some heartwarming bun bo hue, head to Bun Bo Hue Nam Giao, a hole in the wall eatery that the locals frequent. Bo la lot is an awesome dish I wish I had the chance to try when I was in Vietnam. It is a minced beef roll that is made with spiced and seasoned beef. 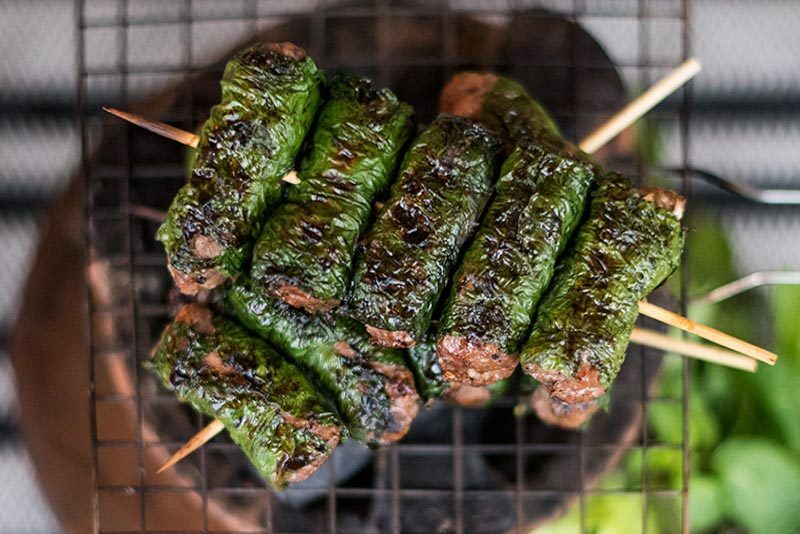 The unique thing is that the rolls are wrapped in aromatic betel leaves (instead of rice paper) before being charred on a grill to a smoky and savoury perfection. 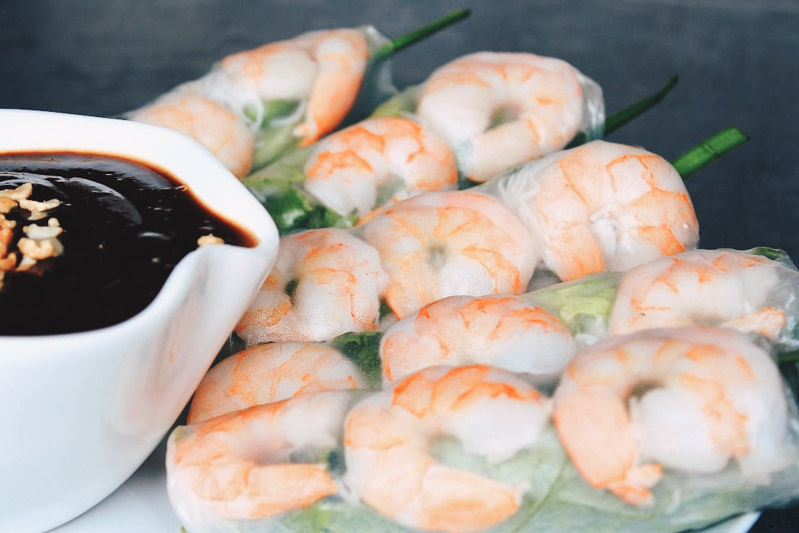 This simple but delicious dish goes great with the rice paper, fresh leaves, herbs, and chilli it is customarily served with. Though I have not had the chance to try it for myself, I take blogger Mark Wien’s word for it when he recommends Co Lien Bo La Lot. 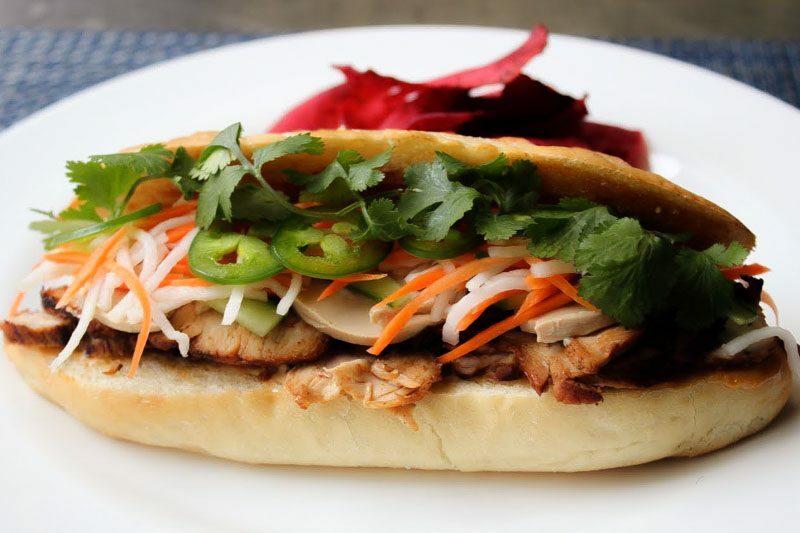 Banh mi is kind of the reason why you’ll never find a Subway in Vietnam. These Vietnamese sandwiches are much more delicious and insanely cheap (they can be sold for as little as S$1.50). These crusty baguette sandwiches (courtesy of the French invasion in 1946), are filled with pate, grilled meat, pickled vegetables and coriander for a burst of freshness. 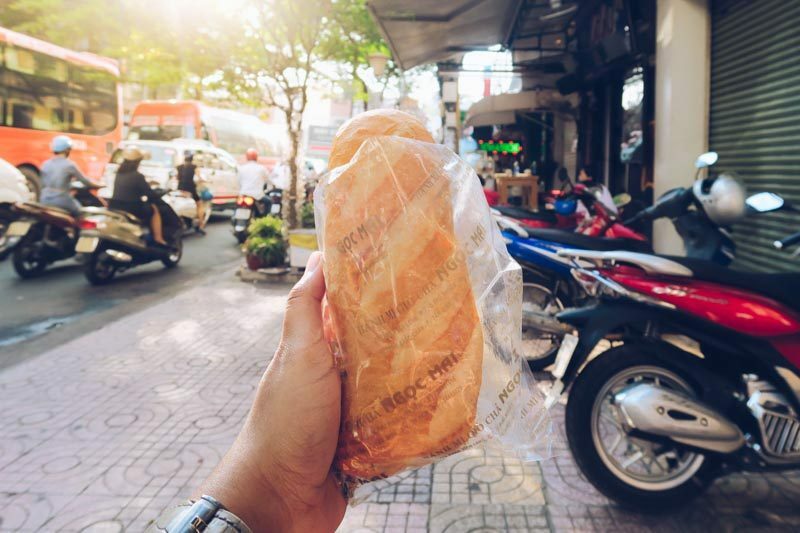 I found great banh mi everywhere in Ho Chi Minh City, be it in a cafe, market, or a cart attached to a motorbike. I can’t say what’s the best banh mi in Ho Chi Minh City as there are literally hundreds of banh mi shops, and the ones you get from a motorbike cart can taste just as amazing as the ones you get in proper restaurants. But if you want to try one of the most famous banh mi in Ho Chi Minh City, go to Banh Mi 37 Nguyen Trai. The sandwiches there are said to be scrumptious and cheaper than the usual. 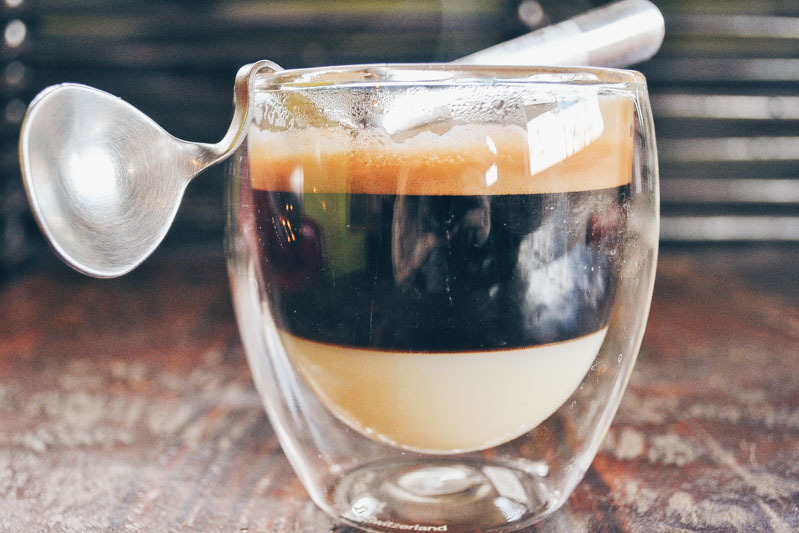 Though coffee isn’t technically a dish, I still feel the need to talk about it here as Vietnamese coffee is incredibly intense, rich, thick, aromatic and tastefully sweet. The coffee was so good I have put off Starbucks and local drinks like kopi’c for at least a month after I returned home. Every cup of coffee I had in Ho Chi Minh City was really good, and it might be because many cafes and shops in Ho Chi Minh city use the same kind of French Roast coffee beans and often serve it as drip coffee, resulting in a better taste. I really can’t recommend one particular shop that you should visit, but be sure to try iced coffee (ka phe sua da) at least once when you are in Ho Chi Minh. So there you have it, 10 things that you need to try when you’re in Vietnam. I think I might just book a trip to Ho Chi Minh soon as writing this article has given me cravings I certainly can’t satisfy in Singapore.